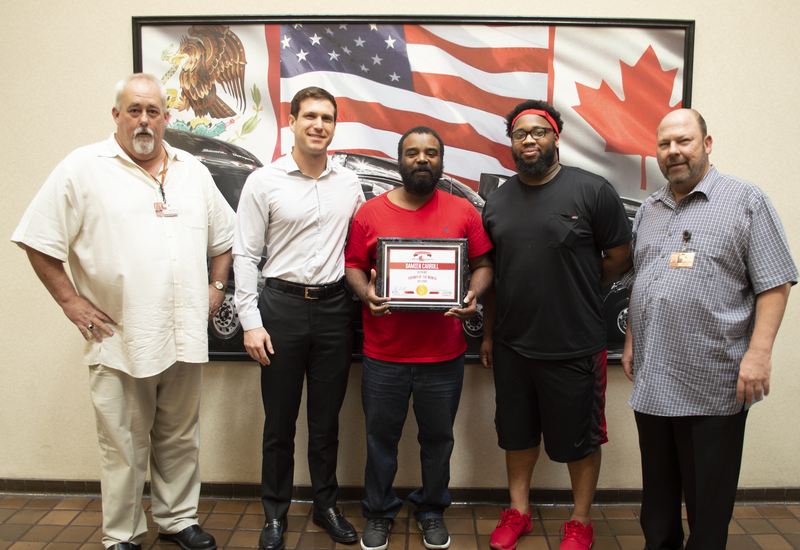 The executive team of Stevens Transport is proud to announce and honor our most recent driver award winners for the month of July. Damien began his driving career at the Stevens Driving Academy and was officially hired by Stevens in 2004. He attributes his success to constantly following the rules instilled in him during his training. He says by doing this, Damien keeps both himself and the public safe while out on the road. The advice Damien gives to each of the new drivers he trains is to enjoy their new career, but always be sure to remember the rules and instructions taught to them during their training. 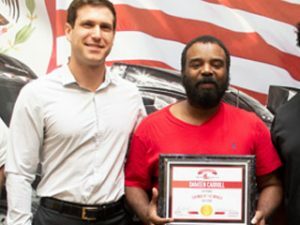 Thank you for all you do and congratulations on this achievement, Damien! Onterio attended Cowtown in Fort Worth, Texas for his CDL training and was hired by Stevens in June of 2001! He decided to become a truck driver to fulfill a childhood dream that he always had, and attributes his success to his driver manager. Onterio advises the new drivers he trains to keep at the job and not give up. Thank you for preparing the next generation of drivers and congratulations, Onterio! Rudolph is from Houston, Texas and was hired by Stevens in July of 2005. Thank you for all you do, and congratulations on this achievement, Rudolph! Mark attended Road Master in Tampa, Florida for his CDL training and was hired by Stevens in 2013. He attributes his success to setting a high standard for himself as a professional truck driver. His favorite Stevens memory is when he drove down his first mountain in California. When he’s not on the road, Mark likes to play guitar, and watch sports. Congratulations, Mark! Douglas received his CDL training at Stevens Driving Academy and was hired in 2008. He attributes his success to hard work, determination, and the support that Stevens provides him with to be a safe and successful driver. Douglas’ favorite Stevens memory is when he was received his Million Mile award! When he’s home, Douglas enjoys relaxing with a good book or movie. Congratulations, Douglas! Mackivi completed his CDL training at Miller Motte in Fayetteville, North Carolina and was hired by Stevens Transport in 2015. He decided to become a driver to provide a better life or him and his family. Mackivi attributes his success to keeping safety at the forefront of everything he does while out on the road. His favorite thing about Stevens is the quality of the training the company provides. Congratulations, Mackivi! Natividad attended Stevens Driving Academy for his CDL training and was hired by Stevens in 2011. Natividad wanted to be a truck driver from the time he was 15 years old, and loves being able to live out his childhood dream. His advice for new drivers is to properly manage their time in order to get the most out of their day. The most memorable moment for Natividad is when he received his first Stevens truck! Congratulations, Natividad! 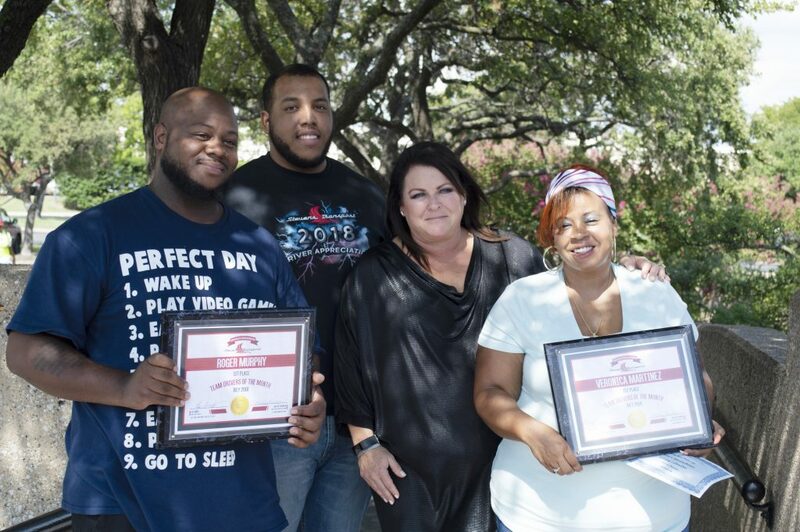 Veronica attended Georgia Driving Academy, while Roger received his CDL training at Stevens Driving Academy and both were both hired in 2015. They attribute their success to great teamwork, which is solidified in their ambition, as they both desire to own their own trucks one day. Veronica decided to be a truck driver after working as a secretary for 20 years, and deciding that she wanted to see more of the country. 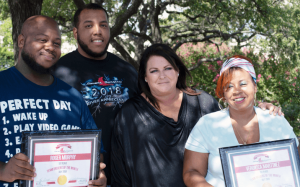 Roger always wanted to a driver, but received an extra push from his children, which made him take the first step in enrolling in driver training. The thing they each love about Stevens is the outstanding support system they have from the company. Congratulations, Roger and Veronica! Saidi is from San Antonio, Texas and was hired by Stevens in April of 2018. 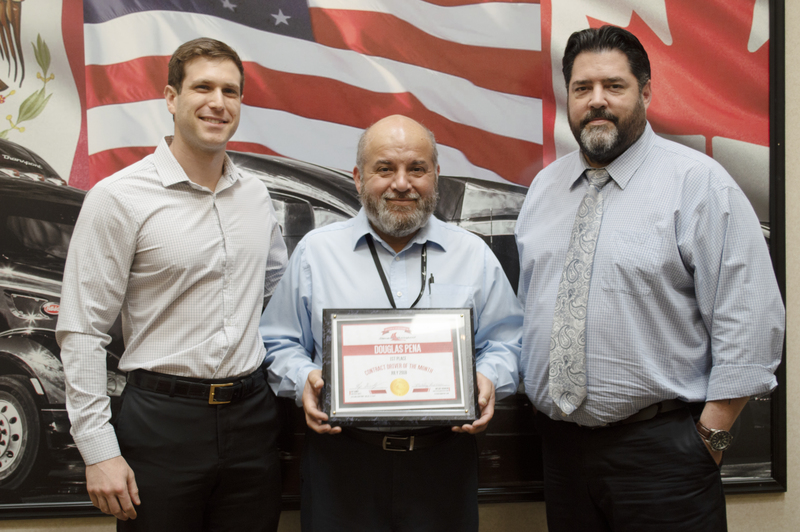 Thank you for your commitment to Stevens, and congratulations, Saidi! Erick is from San Antonio, Texas and was hired by Stevens in April of 2018. We appreciate all you do, and congratulations on this recognition, Erick!